Tonight courtesy of and by Catherine Beaton. Rumba and Poetry! Made for each other! Rumba and Poetry! Made for each other! In the room full of people. What could be more perfect, more right? 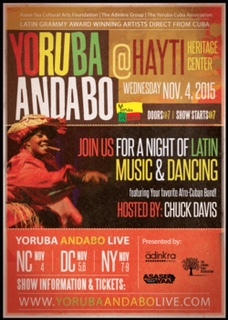 The Adinkra Group and Asase Yaa Cultural Arts Foundation, in partnership with the Yoruba Cuba Association, will present the legendary Afro Cuban band and Rumba masters, YORUBA ANDABO, for four newly added shows on its U.S. tour. Celebrating 30 years of Afro Cuban culture, the internationally acclaimed band, live and direct from Cuba, will perform live in Durham, NC; Washington, DC; and New York City. They will conduct master classes and workshops on select dates, as well. Co-presented by Ayanda Clarke of The Fadara Group and AKILA WORKSONGS, Inc.
Community Partner: Caribbean Cultural Center African Diaspora Institute (CCCADI). Autentico desde Cuba…Yoruba Andabo en Venezuela en El Célebre Teatro Teresa Carreño! 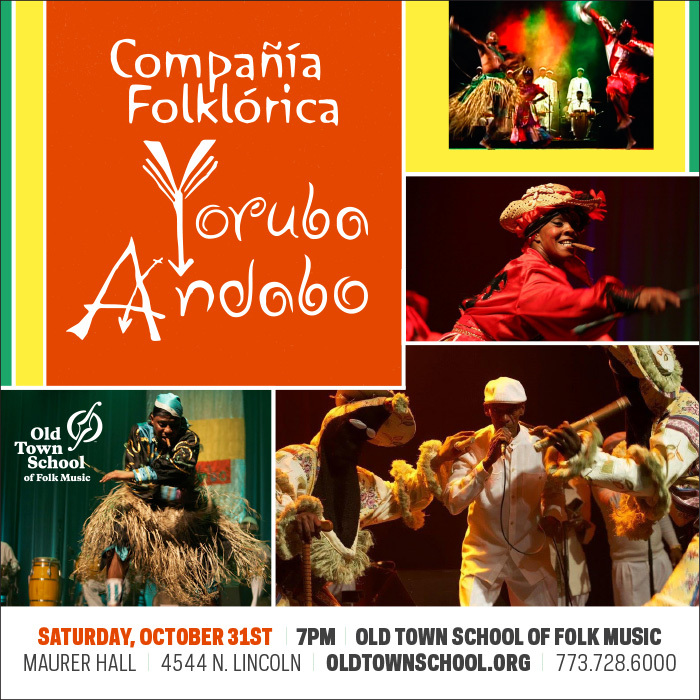 Yoruba Andabo se presentará el domingo 18 de octubre en el célebre teatro Teresa Carreño, en la ciudad de Caracas, Venezuela. Estrenará temás musicales de su nuevo album titulado Soy de la Tierra Brava. 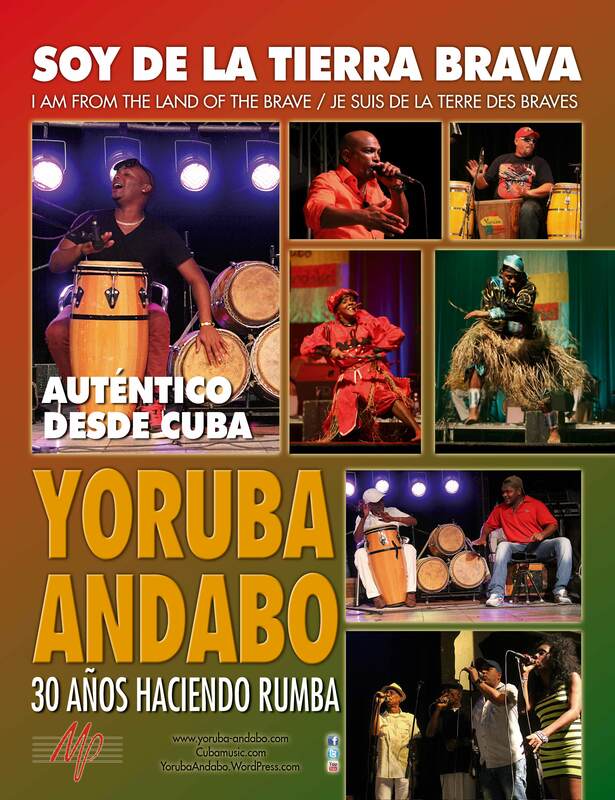 Yoruba Andabo interpretará La Gozadera, tema musical del filme Havana Instant, en el cierre del concierto que brindara el domingo 18 de octubre en el célebre teatro Teresa Carreño, en la ciudad de Caracas, Venezuela. nota: Zair/TELESUR grabará el lunes 12 octubre, un programa From Havana sobre Yoruba Andabo y cubrirá el concierto del domingo… Puede haber link con TeleSur!! The Yoruba Anadabo group will also play the ” Gozadera”theme song of the film Havana Instant, at the close of the concert that is being offered on Sunday, October 18th at the famous Teresa Carreño theater in Caracas, Venezuela. 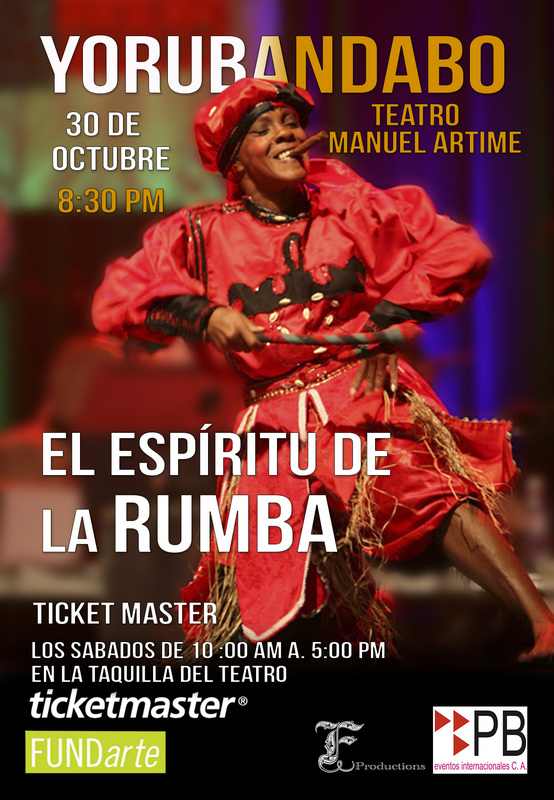 Note: Zair / Telesur will play on Monday, 12 October, on the program “From Havana” and it will cover the Yoruba Andabo concert of this Sunday …you may watch by linking with Telesur !! One hour east of Havana lies the port city of Matanzas, where rumba emerged in the late 19th century. 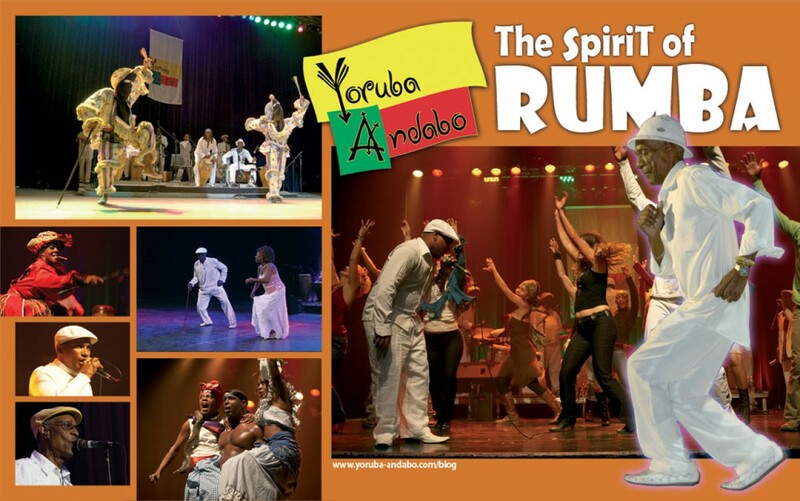 Brought to Cuba by Africans who were transported to the island to work as slaves, rumba was created around a flamboyant and boisterous combination of Congolese-derived drumming styles and Spanish flamenco-singing influences. 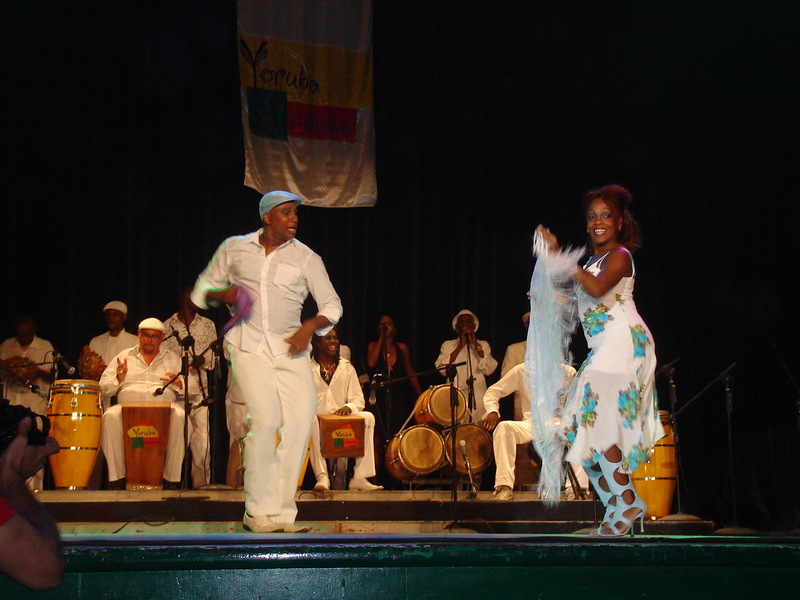 It has grown to become one of Cuba’s most important Afro-Cuban dance and music genres. The rhythms of rumba have given rise to three very different forms of dance. 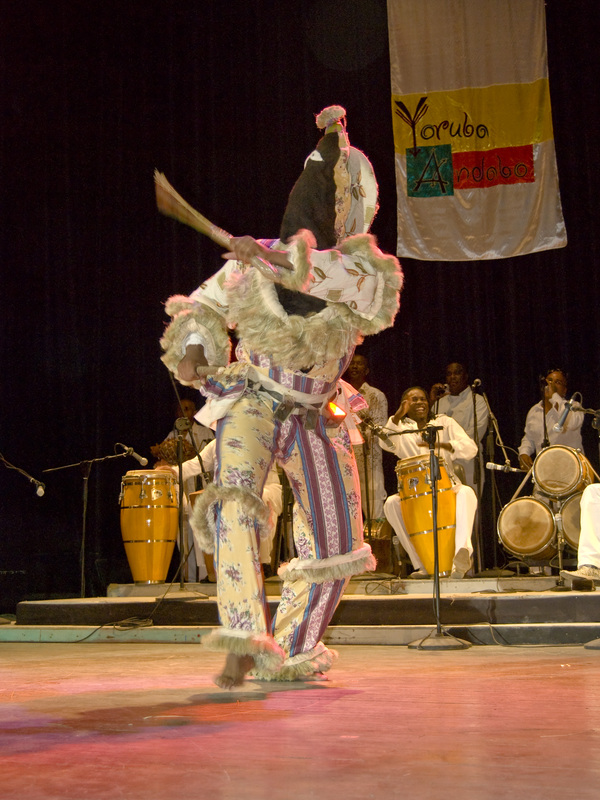 Yambú is the oldest and slowest; it is rarely performed today. Guaguancó is a flirtatious dance, performed by couples. Columbia, the fastest and most athletic, is performed by a male dancer. The music of Cuba is largely based on its cultural origins in Europe and Africa. The arrival on the island of thousands of African slaves over the course of three hundred years created a wealth of new musical forms. Deeply rooted in African rhythms, the country’s distinctive music owes its melodic power to its Spanish colonial heritage. The lively, energetic Cuban sound has profoundly influenced musical styles throughout the world, an impact that continues to this day. Distinct dance forms, related to specific types of music, over time have cross-pollinated, evolving into new styles of expression.